Joubert syndrome is a genetic birth defect in which the area of the brain that controls balance and coordination is underdeveloped. It occurs in both males and females, in about one in 100,000 births. Joubert syndrome often occurs in a child with no family history of the disorder, but in some children, the syndrome appears to be inherited. Other birth defects such as extra fingers and toes (polydactyly), heart defects, or cleft lip or palate may be present. Seizures may also occur. 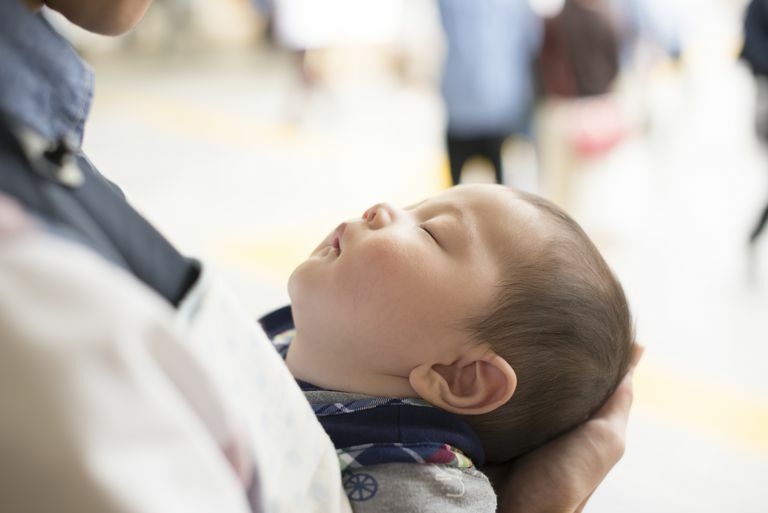 The most pronounced symptom in a newborn infant with Joubert syndrome is periods of abnormally rapid breathing, which may be followed by stopping breathing (apnea) for up to one minute. Although these symptoms may occur in other disorders, there are no lung problems in Joubert syndrome, which helps identify it as the cause of the abnormal breathing. A magnetic resonance imaging (MRI) scan can look for the brain abnormalities that are present in Joubert syndrome and confirm the diagnosis. There is no cure for Joubert syndrome, so treatment focuses on the symptoms. Infants with abnormal breathing may have a breathing (apnea) monitor for use at home, especially at night. Physical, occupational, and speech therapy may be helpful for some individuals. Individuals with heart defects, cleft lip or palate, or seizures may require more medical care. Merritt, Linda. "Recognition of the clinical signs and symptoms of Joubert syndrome." Advances in Neonatal Care 3 (2003): 178-188. "NINDS Joubert Syndrome Information Page." Disorders. 13 Feb 2007. National Organization for Neurological Disorders and Stroke. http://www.ninds.nih.gov/disorders/joubert/joubert.htm.